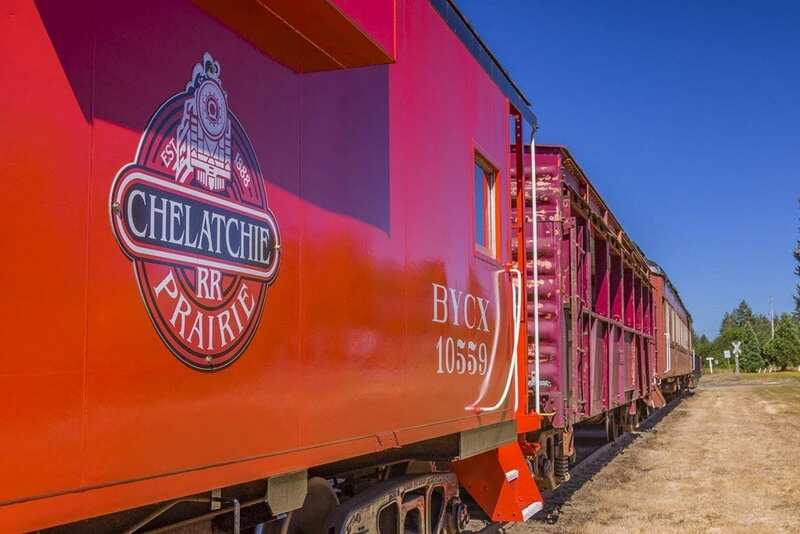 YACOLT — The Chelatchie Prairie Railroad kicks off its 2018 season on Saturday and Sunday, May 12 and 13. Area residents can celebrate Mother’s Day Weekend with a train ride for the whole family. The railroad offers a 13-mile round trip starting in Yacolt and meandering through the logging and farming country of North Clark County — stopping at Moulton Station to visit Yacolt Falls. Along the way, riders will cross the Lewis River, see views from a cliff-side vantage point and experience the thrill of riding through a 330-foot long tunnel blasted out of solid rock. The train departs at noon and 2:30 p.m. from the station in Yacolt. Patrons are asked to arrive at least 30 minutes prior to departure. Reservations are recommended as space is limited. Tickets for this diesel run are $16 per person, $15 for seniors, $11 for children age five to 12, and $9 for little ones two to four. Babies up to age two are free. To buy tickets and reserve a spot on this popular and scenic train ride, visit www.bycx.com or call (360) 686-3559. The Chelatchie Prairie Railroad is located at 207 N. Railroad Ave., in Yacolt. Other scheduled events in 2018 include the Memorial Day Weekend Schedule (May 26-27), Early Summer Diesel Weekend Schedule (June 2-3), Father’s Day Steam Train Weekend (June 16-17) and the Independence Day Train Robbery Steam Weekend Scheduled (June 30-July 1).